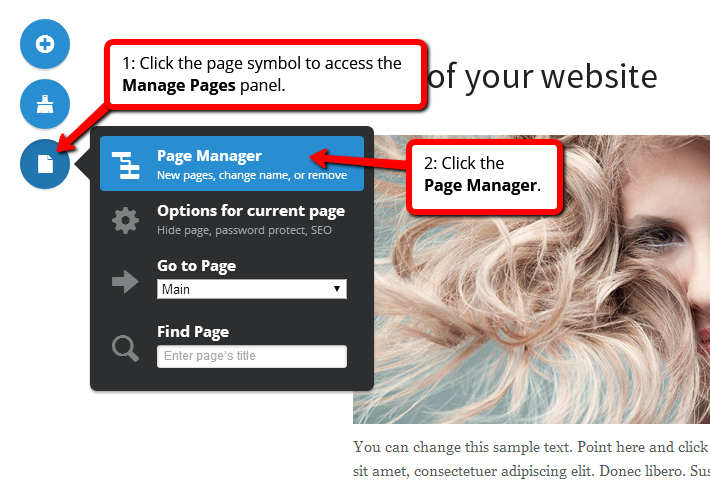 Use the arrows to change the hierarchy of your pages. The pages will appear in the chosen order when displayed in a menu. Pages that are moved to a lower level will be displayed in a submenu. Unflag this option to hide your page. You can still link to this page, but it will not be visible in the menu. Unflag if you do not wish your page to be clickable in the menu. This can be useful if you, for example, want visitors to be able to access your subpages but not the main page in a menu. You can protect your subpages with a password. Alternatively, you can demand a password for all levels under a main page.